Atlanta-based Andy Schneider is the Chicken Whisperer. 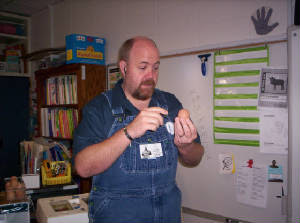 His program, Backyard Poultry with the Chicken Whisperer™ is a nationally broadcast radio show all about keeping backyard chickens. Each week he welcomes special guests to talk about keeping backyard poultry and living a more self-sufficient lifestyle. Tashai and Robert were guests for a show back on May 2nd, and today, Tashai is back with more info on the Mad City Chickens documentary and the phenomenon that is the backyard chicken movement. Listen to the mp3 file of today's episode.